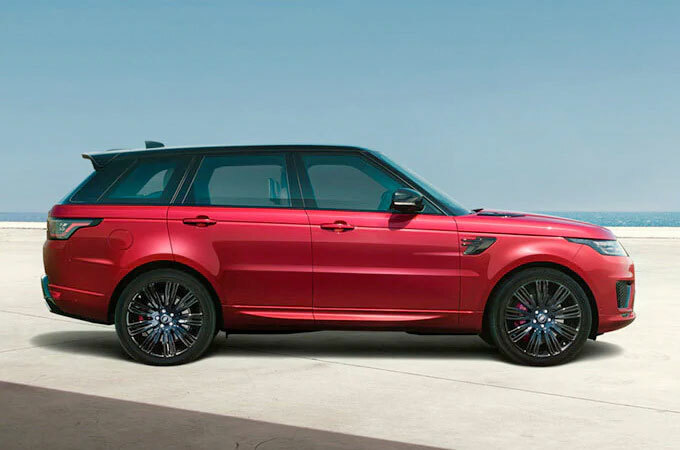 "We are pleased to present this Stunning 68 Plate (New Shape) Range Rover Sport 3.0 Sdv6 Autobiography Dynamic. Finished in Corris Grey Metallic with Contrasting Ebony Leather Interior. Upgrades added include 22 inch Gloss Black Alloy Wheels, Sliding Panoramic Sunroof, Rear Privacy Glass, 4 Zone Climate Control, Additional Water Bottle and Twin Sun Visors. Standard Specification includes the Land Rover InControl Satellite Navigation System, Cooled & Heated Front seats, Heated Rear Seats, Heated Steering Wheel, 22-Way Electric Front Seats with Memory, Adaptive Cruise Control with Queue Assist, Climate Control, Keyless Entry, Meridian Surround Sound System, Front and Rear Park Distance Control with Rear View Camera, plus Many More. As a Land Rover Approved vehicle you will receive a minimum 2 Year Approved Warranty with European Roadside Assistance, peace of mind from the Land Rover Comprehensive 165 Multi Point inspection and a complimentary Land Rover Experience Voucher." "Farnell Land Rover Guiseley are delighted to present this truly stunning Range Rover Sport 3.0 Autobiography Dynamic finished in Santorini Black with Ivory Leather Seats. The desirable features on this vehicle include a Heated Steering Wheel With a Chrome Bezel, 360 Degree Parking Aid, Adaptive Cruise Control With Stop & Go, 22" 9 Split Spoke Alloy Wheels, Electric Memory Seats, Sliding Panoramic Roof, Privacy Glass & Much More. As a Manufacturer Approved Land Rover this car comes with 2 Year unlimited mileage Approved Warranty, 2 Year UK and European Roadside Assistance, MOT Test Warranty, 165 Multi-point Inspection and reconditioning by Land Rover Technicians using Genuine Parts, Road test by Land Rover Technicians, Independent mileage and history check, Professional, expert part exchange service, 30 day / 1,000 mile Conditional Vehicle Exchange Agreement, Complimentary half-day Land Rover Experience, Complimentary 7 day Land Rover Drive Away Insurance We are conveniently located between Leeds, Bradford and Harrogate and can provide complimentary collection from Leeds Bradford Airport if you are travelling from further afield. There has never been a better time to buy an Approved Used Vehicle from Farnell Land Rover Guiseley." "We are pleased to present this Stunning 18 Plate (New Shape) Range Rover Sport 3.0 Sdv6 Autobiography Dynamic (7 Seater). Finished in Corris Grey Metallic with Ebony Leather Interior. Upgrades added include Front TV, Rear Seat Entertainment, Electrically Deployable Towbar, Park Pack Pro, Rear Privacy Glass and the 7 Seat Configuration . Standard Specification includes the Land Rover InControl Satellite Navigation System, Cooled & Heated Front seats, Heated Rear Seats, Heated Steering Wheel, 18-Way Electric Front Seats with Memory, Adaptive Cruise Control with Queue Assist, Blind Spot Monitoring, Climate Control, Keyless Entry, Meridian Surround Sound System, Front and Rear Park Distance Control with Rear View Camera, plus Many More. Why not arrange a test drive today and take comfort in our Land Rover Approved Used Promise ensuring complete peace of mind at every step of your Land Rover journey including our 2 Year Approved Used Warranty, 2 Years Road Side Assistance, a Full 165 Multi Point Inspection and a Half Day Land Rover Experience. 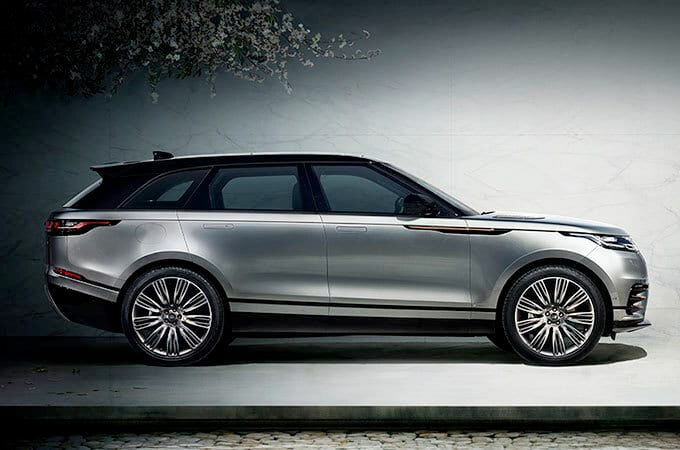 There has never been a better time to buy a Land Rover from Farnell Bolton." "Farnell Land Rover Bradford are pleased to offer this stunning Range Rover Sport Autobiography Dynamic 3.0 SDV6 (18MY) in Santorini Black Metallic with Ebony leather interior. This gorgeous Sport comes equipped with a fantastic specification including 22" Alloy Wheels, Privacy Glass, Sliding Panoramic Roof, Matrix LED Headlights with Signature, HDD Satellite Navigation, Keyless Entry, Heated & Cooled Front Seats with Heated Rear Seats, Heated Steering Wheel, Heated Windscreen, Front and Rear Park Aid with Rear View Camera, Meridian Surround Sound System, DAB, Bluetooth Connectivity, USB, Pro Services and WiFi Hotspot, InControl Apps, Incontrol Remote Premium, Powered Tailgate, 18 Way Electric Front Seats with Memory, Adaptive Cruise Control with Queue Assist, Perpendicular Park Assist, Traffic Sign Recognition with Adaptive Speed Limiter, Lane Departure Warning with Lane Keep Assist, Blind Spot Assist, Reverse Traffic Detection, Driver Drowsiness Monitoring, Clear Exit Detection and much more. If you would like to receive a personalised video of this gorgeous car please do not hesitate to contact a member of our sales team. Every Approved Land Rover comes with 2 Years unlimited mileage Approved Warranty, 2 Years UK and European Roadside Assistance, a 165 Multi Point Inspection, reconditioning by Land Rover Trained Technicians using Land Rover genuine parts, an Independent mileage and history check, a thorough road test by Land Rover Trained Technicians, MOT Test Insurance and a 30 day / 1,000 miles Conditional Vehicle Exchange Agreement. 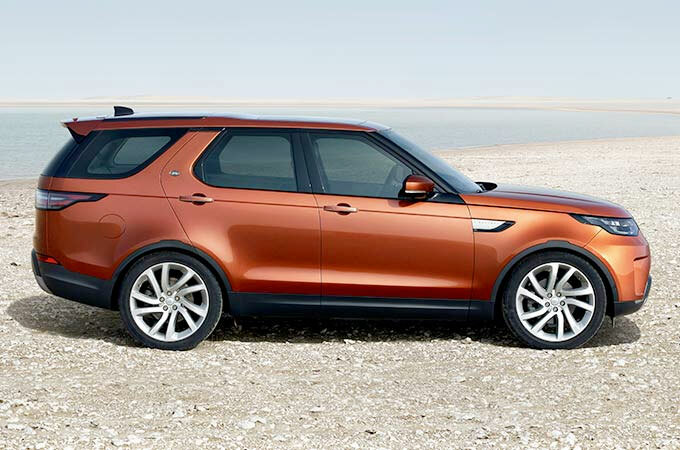 We are also able to provide complimentary 7 day Land Rover Drive Away Insurance. Please call our sales team today to arrange a test drive and be looked after by our team of experts. We can arrange for one of our experts to collect you from either the Bradford train station or Leeds /Bradford airport at no extra cost." "Our 18 plate / 18 Model Year demonstrator Range Rover 3.0 TDV6 Vogue looks stunning in Santorini Black Metallic with Ebony Leather Seats, Ebony interior and Ivory Headlining. This Range Rover is equipped with DEPLOYABLE SIDE STEPS, 21" FLUTE DIAMOND TURNED ALLOY WHEELS, SLIDING PANORAMIC SUNROOF, PRIVACY GLASS, SHADOW PACK, FRONT AND REAR MUDFLAPS, Matrix LED Headlights, Electric 18 Way Front Seat Adjustment with Memory, Heated Front and Rear Seats, 60/40 Rear Seat Power Recline, Colour Satellite Navigation, InControl Apps, InControl Secure, InControl Remote Premium, Pro Services and WiFi Hotspot, Television, Voice Activation, DAB Radio, Meridian Sound System, Bluetooth Connectivity, Heated Steering Wheel, Heated Windscreen, Front Fog Lamps, Automatic Headlights, Cruise Control, Front and Rear Parking Aid with Rear View Camera, Cooled Front Console, Lane Departure Warning and much more. This Manufacturer Approved Land Rover comes with 2 Year unlimited mileage Approved Warranty, 2 Year UK and European Roadside Assistance, MOT Test Warranty, 165 Multi-point Inspection and reconditioning by Land Rover Technicians using Genuine Parts, Road test by Land Rover Technicians, Independent mileage and history check, Professional, expert part exchange service, 30 day / 1,000 mile Conditional Vehicle Exchange Agreement, Complimentary half-day Land Rover Experience and Complimentary 7 day Land Rover Drive Away Insurance. Please contact the sales team at Farnell Bradford for further details." "We are pleased to present this Stunning 18 Plate (New Shape) Range Rover Sport 3.0 Sdv6 Autobiography Dynamic. Finished in Santorini Black Metallic with Ebony Leather Interior. Upgrades added include 22 inch Alloy Wheels, Sliding Panoramic Roof, Tow Pack and Rear Privacy Glass. Standard Specification includes the Land Rover InControl Satellite Navigation System, Cooled & Heated Front seats, Heated Rear Seats, Heated Steering Wheel, 18-Way Electric Front Seats with Memory, Adaptive Cruise Control with Queue Assist, Blind Spot Monitoring, Climate Control, Keyless Entry, Meridian Surround Sound System, Front and Rear Park Distance Control with Rear View Camera, plus Many More. As a Land Rover Approved vehicle you will receive a minimum 2 Year Approved Warranty with European Roadside Assistance, peace of mind from the Land Rover Comprehensive 165 Multi Point inspection and a complimentary Land Rover Experience Voucher." "Farnell Land Rover Bradford are pleased to offer this stunning Range Rover Sport Autobiography Dynamic 3.0 SDV6 (18MY) in Santorini Black Metallic with Ivory leather interior. This gorgeous Sport comes equipped with an amazing specification including Rear Seat Entertainment, Digital Television, Electric Deployable Towbar, Surround Camera System, 21" Silver Alloy Wheels, Privacy Glass, Sliding Panoramic Roof, Matrix LED Headlights with Signature, SD Card Satellite Navigation, Keyless Entry, Heated & Cooled Front Seats with Heated Rear Seats, Heated Steering Wheel, Heated Windscreen, Front and Rear Park Aid with Rear View Camera, Meridian Surround Sound System, DAB, Bluetooth Connectivity, USB, Pro Services and WiFi Hotspot, InControl Apps, Incontrol Remote Premium, Powered Tailgate, 18 Way Electric Front Seats with Memory, Adaptive Cruise Control with Queue Assist, Traffic Sign Recognition with Adaptive Speed Limiter, Lane Departure Warning with Lane Keep Assist, Blind Spot Assist, Reverse Traffic Detection, Driver Drowsiness Monitoring, Clear Exit Detection and much more. If you would like to receive a personalised video of this gorgeous car please do not hesitate to contact a member of our sales team. Every Approved Land Rover comes with 2 Years unlimited mileage Approved Warranty, 2 Years UK and European Roadside Assistance, a 165 Multi Point Inspection, reconditioning by Land Rover Trained Technicians using Land Rover genuine parts, an Independent mileage and history check, a thorough road test by Land Rover Trained Technicians, MOT Test Insurance and a 30 day / 1,000 miles Conditional Vehicle Exchange Agreement. 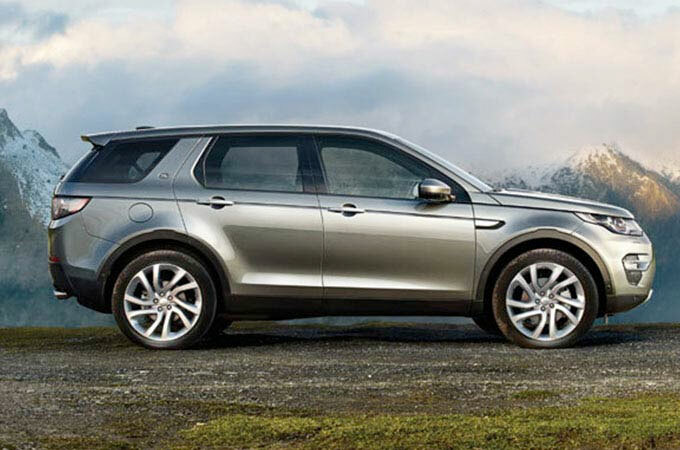 We are also able to provide complimentary 7 day Land Rover Drive Away Insurance. Please call our sales team today to arrange a test drive and be looked after by our team of experts. We can arrange for one of our experts to collect you from either the Bradford train station or Leeds /Bradford airport at no extra cost." "Features on this car include 22" Alloy Wheels, Adjustable Seat Bolsters, Electrically Deployable Tow Bar, Front Centre Console Cooler Department, Meridian Surround Sound System, Park Pro Pack and Privacy Glass. This Manufacturer Approved Land Rover comes with 2 Year unlimited mileage Approved Warranty, 2 Year UK and European Roadside Assistance, MOT Test Warranty, 165 Multi-point Inspection and reconditioning by Land Rover Technicians using Genuine Parts, Road test by Land Rover Technicians, Independent mileage and history check, Professional, expert part exchange service, 30 day / 1,000 mile Conditional Vehicle Exchange Agreement, Complimentary half-day Land Rover Experience, Complimentary 7 day Land Rover Drive Away Insurance"
"Farnell Land Rover Nelson, are delighted to present this stunning 2018 Range Rover Sport Dynamic 3.0 V6 Twin Turbo 8 speed Automatic in Corris Grey with full Ebony leather interior. Offering the ultimate amount of practicality as well as luxury for you and your passengers. 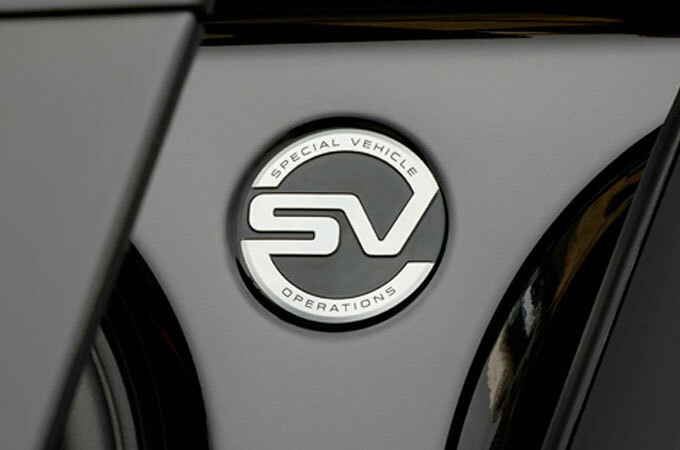 Providing an exciting as sporty driving experience you will be in blissful comfort in the process. Extended Leather Upgrade, Heated Leather Steering Wheel, 360-Degree Parking Aid, Illuminate Tread Plates, Ambient Lighting, Traffic Sign Recognition with Adaptive Speed Limiter, Driver Condition Monitor, Four Zone Climate Control, Meridian Surround Sound System, Panoramic Roof, Black Contrast Roof. 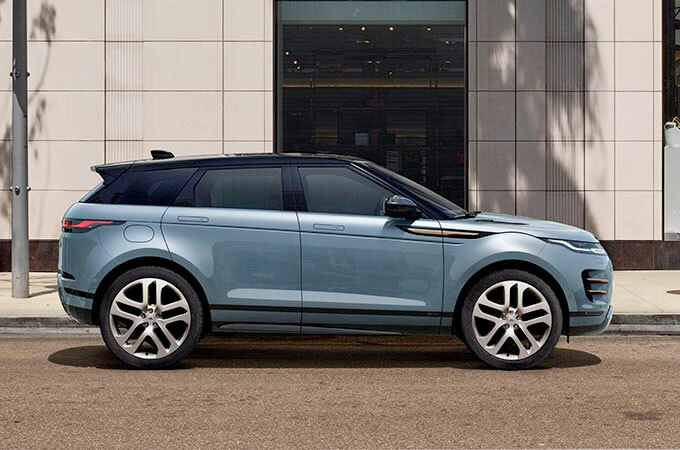 Also as a Land Rover Approved vehicle you will also receive a minimum 2 years Approved Warranty, which includes European Roadside Assistance, a comprehensive 165 point inspection and a complimentary Land Rover Experience Voucher. Want to see more? Call our sales team now for a personalised video, a full specification list, and details of our competitive finance options." "We are pleased to this stunning MY18 (New Shape) 18 Plate Range Rover sport 3.0 SDV6 Autobiography finished in Santorini Black Metallic with Ebony / Pimento Perforated Semi Airline Leather. Upgrades include 22 inch sparkle Silver Alloy Wheels, Sliding Panoramic Sunroof and Rear Privacy Glass. 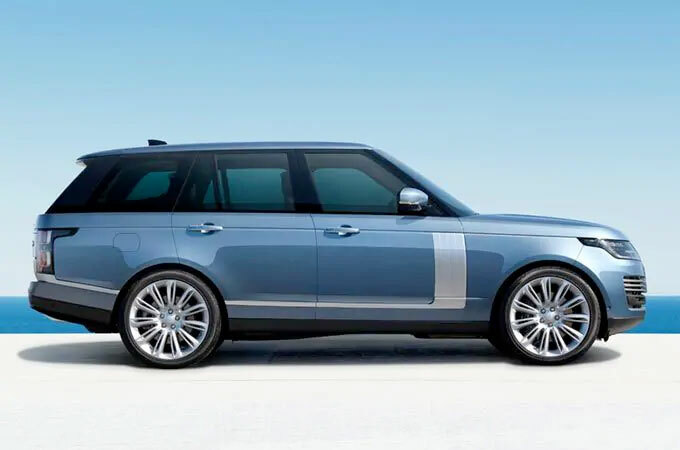 Standard Features include Land Rover InControl Satellite Navigation System, Cooled & Heated Front seats, Heated Rear Seats, Heated Steering Wheel, 22-Way Electric Front Seats with Memory, Adaptive Cruise Control with Queue Assist, Climate Control, Keyless Entry, Meridian Surround Sound System, Front and Rear Park Distance Control with Rear View Camera, plus Many More. As a Land Rover Approved vehicle you will receive a minimum 2 Year Approved Warranty with European Roadside Assistance, peace of mind from the Land Rover Comprehensive 165 Multi Point inspection and a complimentary Land Rover Experience Voucher."